It takes a firm apple to stand up to bullies. When Mac, an apple, meets Will, a worm, they become fast friends, teaching each other games and even finishing each other's sentences. But apples aren't supposed to like worms, and Mac gets called "rotten" and "bad apple." At first, Mac doesn't know what to do--it's never easy standing up to bullies--but after a lonely day without Will, Mac decides he'd rather be a bad apple with Will than a sad apple without. 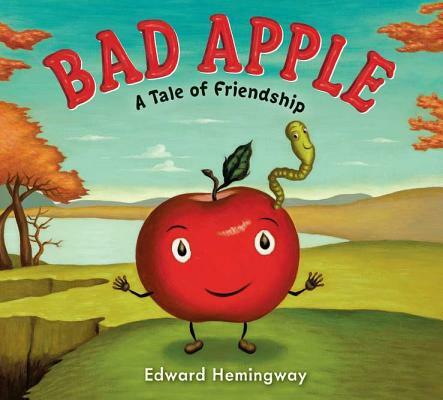 Edward Hemingway's warm art and simple, crisp text are the perfect pairing, and themes of bullying and friendship are sure to hit readers' sweet spots all year round. Edward Hemingway lives in Brooklyn, New York.